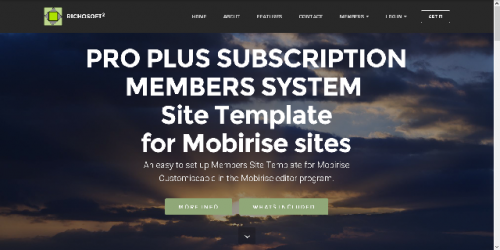 PRO PLUSSubscription Membership System Site Template for Mobirise* sites. NEW!Optional up to 16 additional custom subscription types. NEW!Some code enhancements for faster response.